Nothing beats sitting outside on a warm summers day with friends and family having an ice cold drink, socialising and enjoying each others company. A branded Cooler Box is perfect for these summer events. However if you want a more lively gathering or party then a branded cooler box with built in Bluetooth speakers is even better – bringing the cold drinks and tunes. This product is perfect for hundreds of drinks companies such as Budweiser and Fosters. It can also be suitable for non alcoholic companies like Coca Cola and Tropicana. Even if you are not a drinks company and provide a different product or service it is usable due to its different and innovative design. Innovative Design – having the cooling feature that keeps drinks out of the sun to provide that refreshing taste as well as the built in speakers, this product a variety of things to offer. 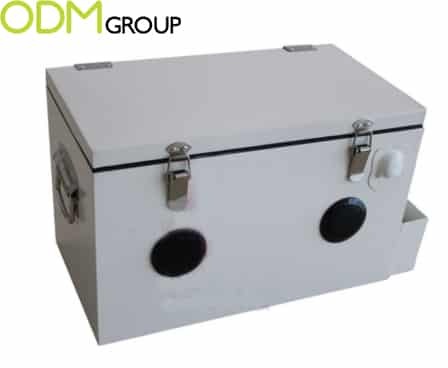 The branded cooler box also has added storage features such as side compartments for further storage of other items. Convenient – Being a convenient size, and easily transportable, it is easy for clients to use and carry about with them. This means that during summer events or family meetings your brand will be taken with them; being associated with this creative promotional design. Large Client base – Whether they’re drink lovers, music lovers or just need a cooler box while they travel, this marketing item can attract a range of customers no matter the age. This is due to it’s diversity in what it offers, in particularly for the summer time. 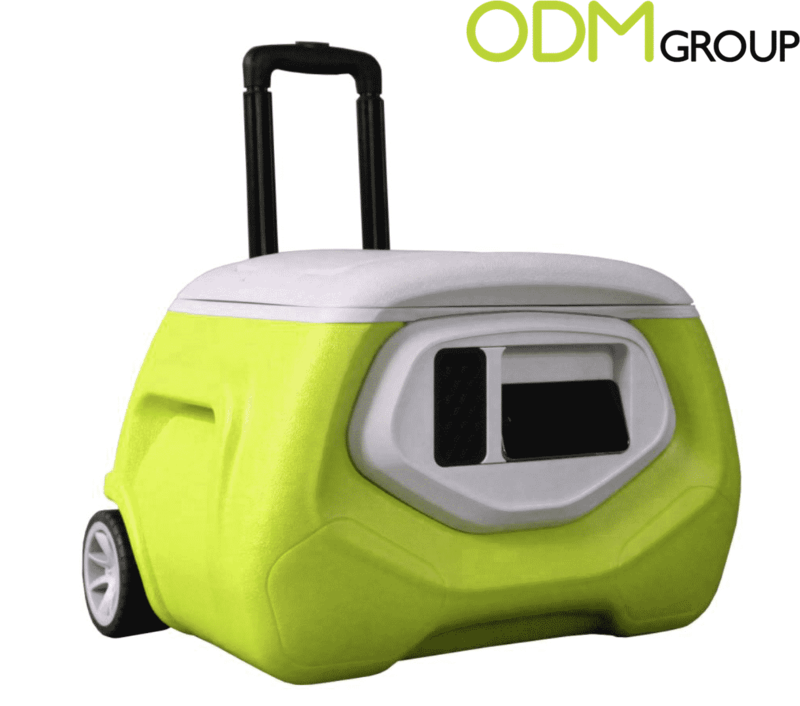 ODM thinks this Branded Cooler Box is an amazing product with the potential to be a great summer hit. If you are interested in having your own promotional product sourced from China, contact our sales team today for a quote. Additionally our creative design team, Mindsparkz is at hand to help make the product suit your company and it’s brand. 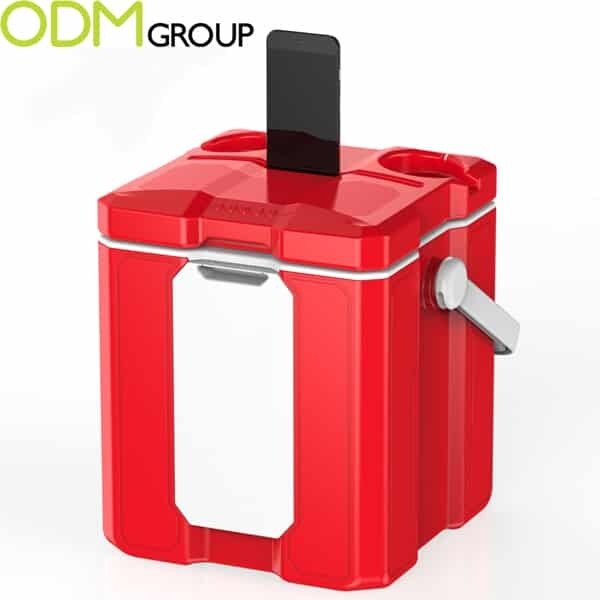 If you are interested in this particular product, quote ODM – 1128 to our sales team when contacting us.